All of the fourth graders, along with their teachers and some friends and family members, enjoyed an end-of semester holiday party on December 19. 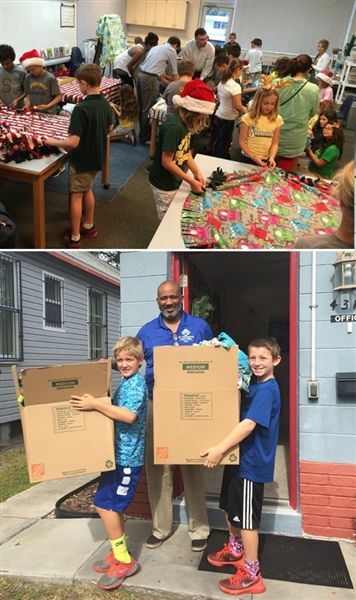 In addition to celebrating the holidays, they worked together to make the season a little brighter for people in need, making 19 fleece blankets for families at the St. Petersburg Free Clinic. Using fleece that parents cut prior to the party, the students enjoyed tying knots to finish off the blankets as a group. On Monday, December 21, Talon H and Ryan G delivered the blankets to the St. Petersburg Free Clinic, into the hands of the Family Residence Manager on 11th Ave South. The Manager gave the boys a tour of the residence hall, showing them where families sleep, eat, play and work on computers to access housing and job opportunities. The blankets were distributed that evening to the children of their temporary families at a holiday dinner, with extra blankets reserved for newly arriving families. Shorecrest kindergarten teacher Mrs. Minke, whose classes have regularly enjoyed creating and sewing service projects, shared the fourth graders’ passion for holiday service. 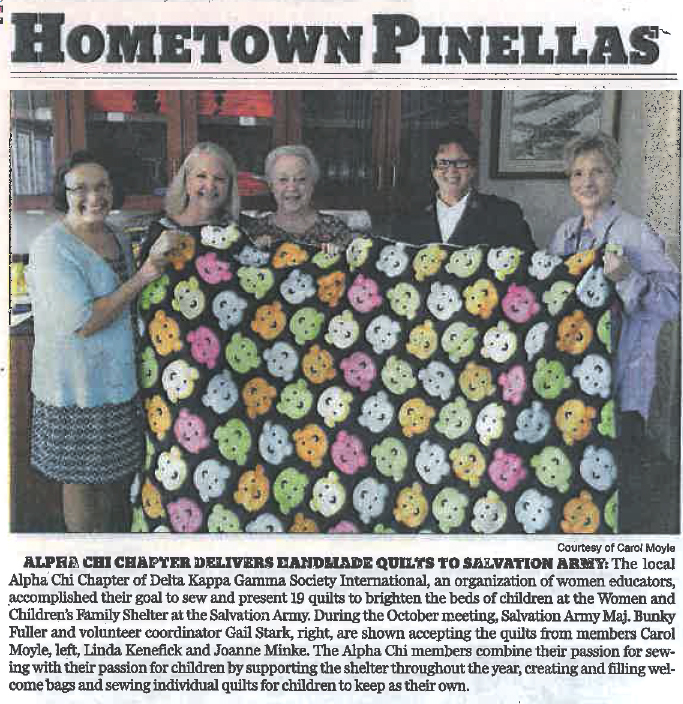 She was part of a group of educators who sewed and presented 19 quilts to the Women and Children’s Family Shelter at the Salvation Army. Former Shorecrest teacher, Mrs. Moyle, was also present.